Mike Harwood, our former Deputy CEO was laid to rest last week…the following are a few final thoughts from some of those who worked with him. While each remembers Mike in his or her own way, most spoke of common traits – his gentlemanly ways, his incredible work ethic, the respect he commanded in the industry and his willingness to always lend a hand. Anthony Pratt, Chairman: I was very saddened by Mike’s passing. He was a great man and Pratt Industries wouldn’t be where it is today without his contributions as the greatest containerboard salesman ever. He was also a very sweet man and I will miss him. Brian McPheely, Global CEO: We have lost one the great personalities of our company and industry. 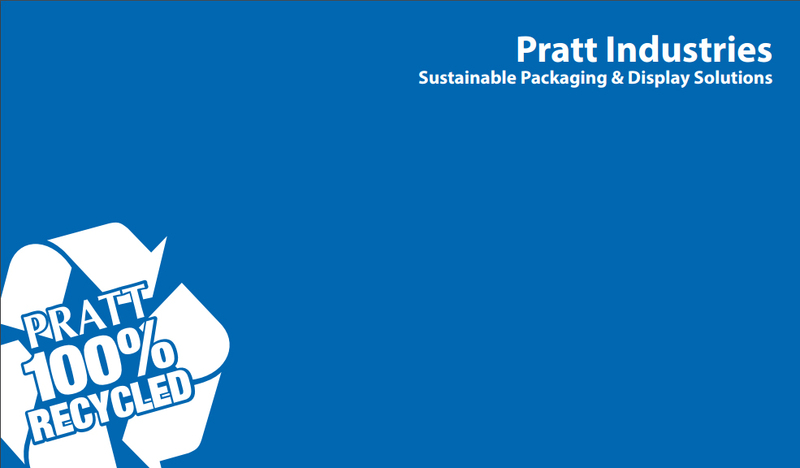 When I think about Mike the first thing that comes to my mind is his unparalleled love for both our company, Pratt Industries, and the Packaging Industry. His legacy spanned over 6 decades and we all benefited from both his terrific knowledge and his unending excitement of working in this great industry. This on top of his unrelenting work ethic helped shape Pratt Industries across the country and to some degree around the world. I feel very fortunate that I was able to visit Mike just a couple of weeks ago and it was an hour I will cherish for a long time. The take away from our discussion: always have love for your company, always have love for the industry one works in, work incredibly hard to accomplish one’s goals, never give up at whatever you are trying to accomplish, love your family, and at the end of the day it is the friendships you develop over your lifetime that are the most important thing in life. I asked Mike in that hour what can I tell people about him that he wanted them to know – without hesitation he wanted people to know that he always tried his best to help people become better. I think we can all learn from these words. David Dennis, Chief Operating Officer: Mike was a visionary and an ambassador for our industry. He was one of the most customer-focused individuals I have ever met. He was also a highly sought after expert within and outside of Pratt Industries. We have lost a true southern gentleman who lived life to the fullest and had a tremendous impact on the success Pratt has enjoyed over the years. Rest in peace, Mike….you are greatly missed! Sylvia Keels, Travel Manager: We traveled to Nassau, Bahamas in 2006 to work a client appreciation trip. The evening prior to others arriving, a small group of us went to dinner at a small restaurant next door to the resort. They took us by golf cart. Upon our return we saw a large group of people at a mansion where there was a lot of commotion. The driver told us they were shooting the new James Bond movie – “Casino Royale”. Mike had the driver stop the cart and he and my husband Terry got off and walk up to view the filming. Mike got as far as getting in a make up chair to prepare to be an extra! It is still hilarious to me, seeing those two attempting to be movie stars! It didn’t work out but I knew then that Mike Harwood lived to seize life’s moments. John Keck, President Display Divison: The first time I met Mike Harwood was in his office at Pratt Industries. The uniqueness and character that is Mike Harwood immediately jumped out at me. First of all, his office was not an office but a well-crafted living room with a coffee table, comfortable easy chairs that you could get lost in and a desk that was all-world. Once I got past all that, there stood Mike brilliantly dressed in a blue blazer, pin stripe shirt, bow-tie and saddle oxford shoes. He shook my hand, and the warmth of his personality came flowing out. He made me feel very welcome at Pratt. Mike did a great job of helping to forge the character of the company. The warmth and personality that I experienced on that first day is who he was every day. We will miss him. Scott Fuselier, GM Houston Converting: I went a few sales calls with Mike and I learned that you better be prepared and know all the details on a prospect and/or customer. If you were unprepared he made sure you did not make that mistake twice. I make sure my sales reps have that same preparation before sales calls. He was one of the best sales guys Pratt had in the company. If he went on a call with you, he followed up relentlessly with you and the prospect until you got that first order. Jay Hennessey, GM, Pratt Paper Valparaiso: As a mill guy I tend focus on my specific needs. There were times that I needed a different perspective and Mike was the guy to provide it. Mike had contracts and relationship throughout the industry and around the world and was always willing to lend a hand. Tom Priest, VP Sales & Marketng: There are a lot of memories that I have of Mike. The one that jumps out is Mike was always willing to help in any way from contacts, sales calls and making connections. I always felt Mike knew everyone in our industry and he could open any door we needed to open. Ed Kersey, GM, Pratt Paper Shreveport: Mike was a great inspiration in business and relationship building. He had an uncanny ability to make customers feel like they were an integral part of our business and not just an end user. Troy Faircloth, Director of Treasury: I always enjoyed working with Mike, but I enjoyed our personal conversations even more. Mike never held a grudge if we disagreed professionally. Mike was genuinely interested in how my family was doing, and what my children were up to. He was smiling every time I saw him. He will be missed at Pratt. Tom Boettcher, Director – Sales: What I think of most when I look back on my conversations with Mike is he always took the time to ask about family and touch on the personal side of life. I will always remember this special quality. Bill Lefler, Stateville: Mike grew up in NC not far from my hometown. Not too many years ago he told me his mom still lived in rural Stanley County, NC. Mike came a long way from his beginnings to be internationally known. A grand accomplishment by any standard. Mike Keepers, GM Pratt Ocala: He was a gentlemen with a tremendous knowledge of the linerboard Industry and a major support resource for not only our company’s success but also for my position. I might add he was also quite a flamboyant dresser! Mike will be missed. Prayers and thoughts to his family. Mike Tansey, Regional President: Mike was first class all the way in every aspect of his life. An industry leader who would help you any way he could. Relentless work ethic, tremendous knowledge and an outstanding speaker. I am thankful to have spent a lot of time with Mike over the past 15 years and very happy to call him my friend. He will be truely missed! Myles Cohen, President Pratt Recycling: I have only known Mike for about 6 years, so compared to the tenure of his career, not an incredibly long time. However, when I joined Pratt, Mike was one of the first people who wanted to teach me all that he knew about the business. His guidance and wisdom, as well as his desire to be a mentor to me are things that I will always be very appreciative of. He was a legend in our industry and everyone within Pratt and the industry viewed Mike as an expert in what he did, and respected him immensely. Mike and I both shared a love of tennis and we even ran into each other at the U.S. Open in New York several years ago which was a very pleasant surprise for me. Mike will be sorely missed by me. I consider it a privilege to have known him for the short time that I did. Steve Webb, Projects Controller, Corporate: I remember the first meeting I attended with him many years ago. He was trying to gather information in a certain form that was not readily available in our limited sales/accounting systems. As we were trying to come up with a method of gathering the information, and seeing problems with each, Mike finally said: “Guys, this isn’t rocket science here, there has gotta be a way of getting the information.” Over the years I have heard Mike speak of “rocket science” several times when we were stuck in the details. That phrase will always remind me of Mike. 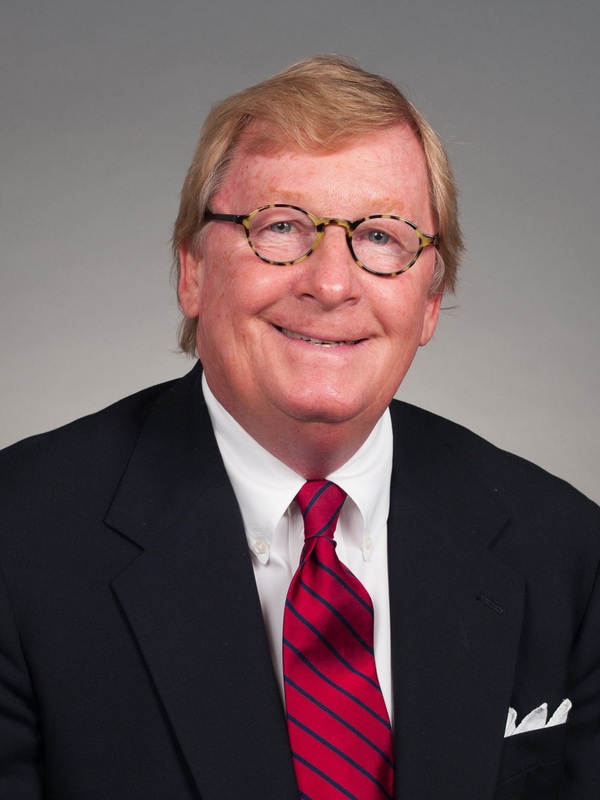 Mike Gallagher, Sales Director, Southwest Region: I have only had the pleasure of knowing Mike for the past 4 years. However, he left an impression on me every time we talked. His knowledge went far beyond our industry and his willingness to share that knowledge and life’s experiences set him apart from most. Truly one of a kind! Chris Stanton, President, Specialty Division: Mike will be fondly remembered inside our great industry, and all of Pratt, as a pioneering sales leader. But for me personally, Mike will be remembered as a mentor who took the time to quietly teach – and for always finding the time to track me down to see how the business was doing and and how my family was. Mike could hold any room and was willing to make any sales call – a trait that most would cherish. Rest peacefully Mike. Bob Borkowski, Director, Operational Excellence: One thing that I always remember about Mike was he was a true gentleman to me every time I talked to him or saw him. He was always eager to lend a hand and as polite as can be. A true southern gentleman. Craig Beaudoin, GM Lewisburg Corrugating: From the first time I met Mike, some 18 years ago, he always took time to share his industry knowledge, economics and his career with me. I admired him for his industry knowledge and his showmanship at Pratt events – he was the MC that made everyone feel apart of something special. When I told my wife of Mike’s passing the first thing she said was “I always liked Mike,; he always remembered my name.” Mike had that easiness about him, even if you only met him a few times he was a friend for life. One of the best “Harwood Statements” came from him one Friday afternoon that I happened to be in Conyers and stopped by his office. I asked Mike, how’s it going? His reply was “it’s Friday afternoon and we’re way behind.” That has always stuck with me as more than just a humorous statement. I think it was Mike’s way of saying that there is always more to do and more to learn – even on a Friday afternoon.